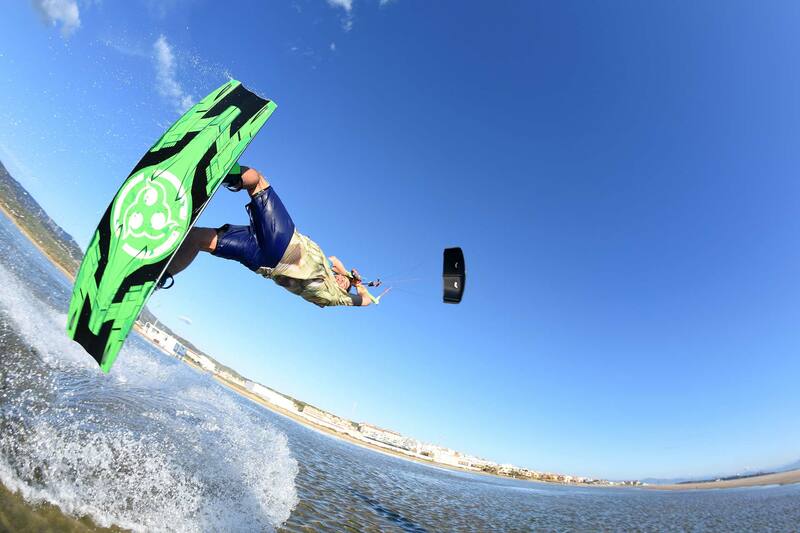 Continuing on the success of the innovative "RG 3.0" kite control system, Wainman Hawaii focused on quality, material refinements and ease of use to provide riders the perfect fusion of safety, simplicity and superb "feel" in flight with the RG 3.1 Bar. 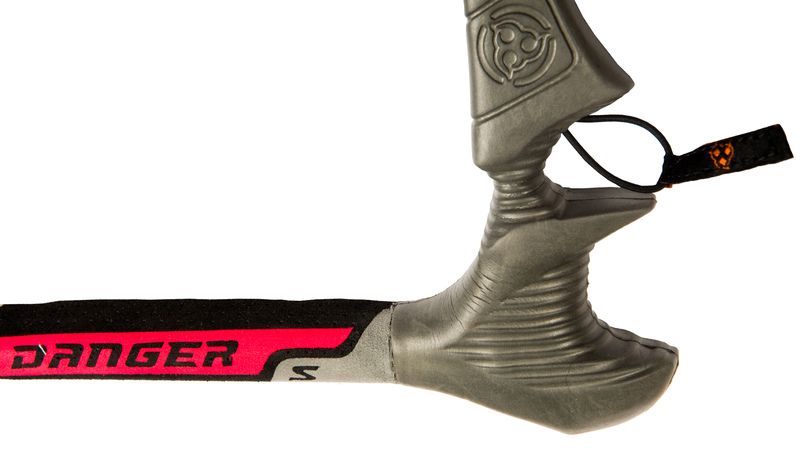 Boasting an improved quick release, we also added a new bar grip for extra comfort, stronger lines (​350 kg)​, easily replaceable trimming line and a new leash with neoprene cover and molded release handle. Minimalistic and no “over engineered” ergonomic bar with a single depower/central line using lightweight and durable materials. 100% flag out on front line and also offers unique setup options dependent on riding style and needs that will flag, depower or separate kite from rider. 350kg pre-stretched color coded flying lines that is abrasion resistant offering maximum strength and durability. RG 3.1 bar offers a convenient and easy to reach above the bar depower capabilities with simple trimming line and handle replacement. The "Stock" set-up is how the bar comes "out the bag" and is geared towards the every day rider that engages his/her quick release in rare emergency occasions. In this option you attach the bar leash to the "safety" ring on buffer of the stock bar. 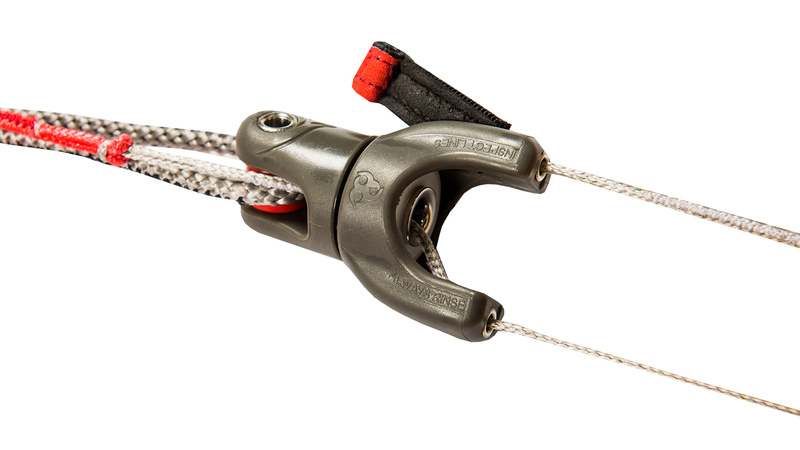 When engaging the quick release in case of an emergency, the bar leash will stay connected to one of the front lines and "flag" the kite (depowers the kite 100%). In case of further danger activate your quick release on the safety leash to totally separate from the kite. The "One Release" set-up is based on the simple principle that in case of major danger, there should be one ultimate kite release and kite will be completely detached from the rider. When choosing this setup you have to be aware that when your activate your QR, your kite will fly away. Make sure you don't ride upwind from anyone when activating the QR to avoid harming anyone downwind. "One Release" can be ridden with the "Dingy Guy" or without It. Attach safety leash to metal ring on the harness loop (where security pin named "Dingy Guy" is attached). When you unhook and let go of the bar, kite will depower the distance of the depower main line. If you activate your quick release, you will be completely separated from the kite. In certain circumstances, you may have time and choose to grab the Safety Handle on the buffer while activating the QR which will flag out the kite on one of the front lines. The "Double Depower" set-up is for experienced riders only. It allows for unhooked riding and letting go of the bar without the kite "flagging" even if you activate the quick release. After you convert the bar to the "Double Depower" setup, attach the safety leash to the ring on the buffer. Activating the double depower (when you unhook and let go of the bar), shortens your center lines double the distance of the depower main line. If you activate your quick release, you will still be attached to the kite (safety leash) and you must activate the safety leash to release the kite. The "Suicide Connection" set-up is for experienced riders only. 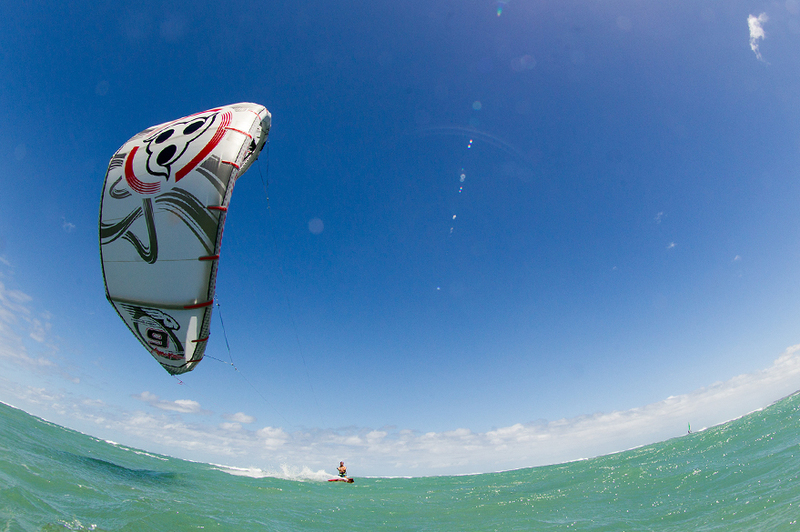 It may meet the needs of expert riders who ride in waves and don't want to lose their kite. It allows for unhooked riding and letting go of the bar without kite "flagging" even if you activate the quick release. After you convert the bar to "Suicide Connection" by attaching the suicide connector to the buffer, attach safety leash to the ring on the suicide connector. When you unhook and let go of bar, the kite will depower the distance of the depower main line. 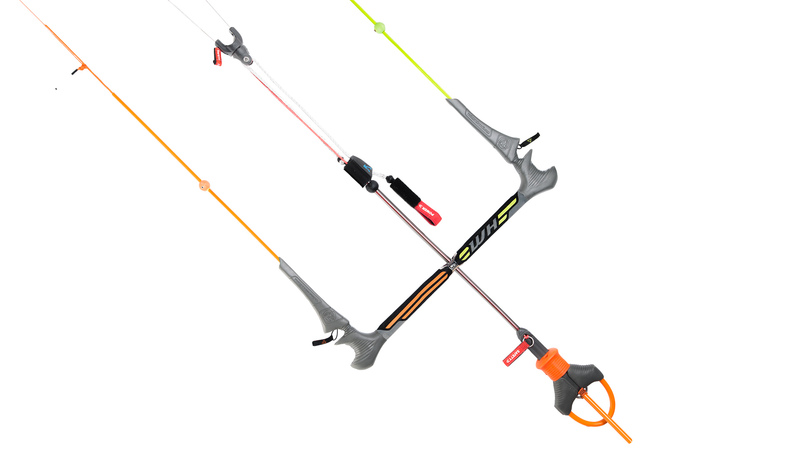 If you activate your quick release, you will still be attached to the kite (safety leash) and you must activate the safety leash to release the kite. The "School Safety" set-up is geared towards beginners and all other riders that want the safest option while riding. It provides the least wear/tear on the bar components and the smoothest flag out activation. This setup is ideal for kite schools and for riders that engage the quick release regularly. This is the safest riding method due to the complete power loss when "flagging" the kite on one of the front line in an emergency situation. The “Para-Suicide Connection” set-up is for experienced riders only and gives you the same benefit of Suicide Connection with the benefit of flagging your kite if you activate your Quick Release. 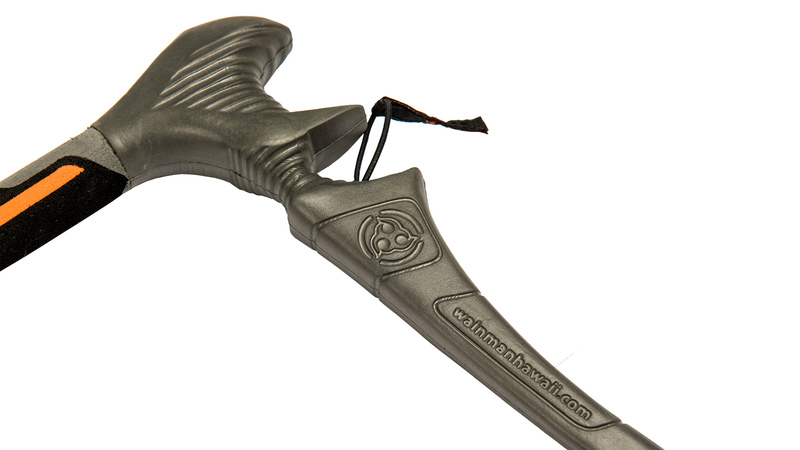 It may meet the needs of expert riders who ride unhooked and don’t want to lose their kite. It allows for unhooked riding and letting go of the bar without “flagging” the kite. 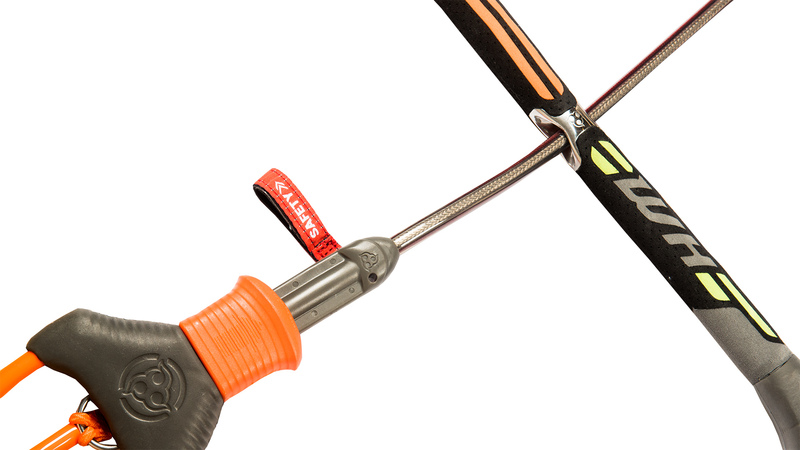 After you convert the bar to “Para- Suicide Connection” by attaching the suicide connector to the safety bungee and feeding it through the metal ring on the harness loop, attach the safety leash to both the ring on the suicide connector and metal ring on harness loop. When you unhook and let go of bar, the kite will depower the distance of the depower main line. 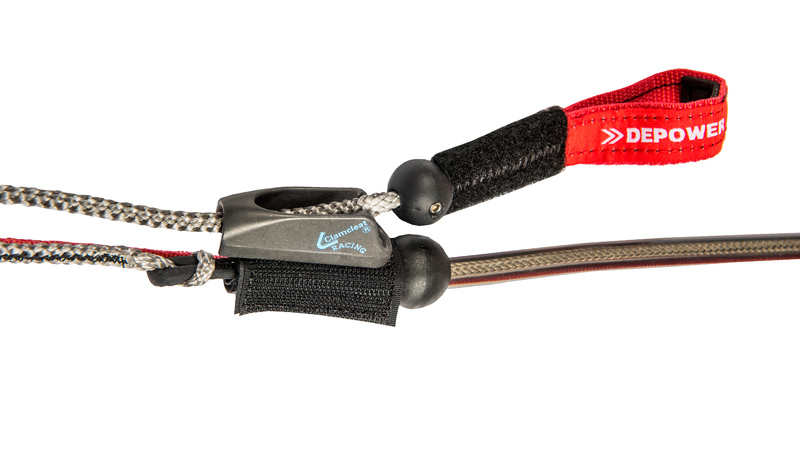 If you activate your quick release, you will “flag” your kite as the leash is attached to the grey safety bungee that flags the kite on a front line.